You can often hear that the foundation is the main thing in the house. 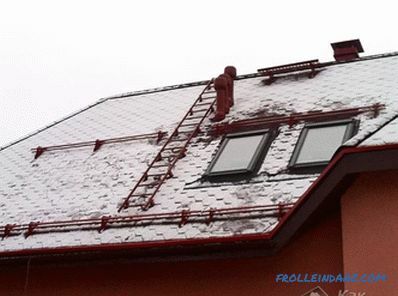 But the roof of the house also plays an important role, because it protects from wind, rain, snow, sun and other factors. It must be reliable and durable. The times when only slate or soft roofing coating was used as a roofing material has long been in the past. 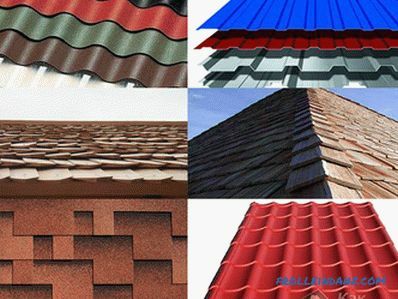 Now the buyer is available a huge variety of roofing materials that are high-quality, environmentally friendly, wear-resistant, durable and just beautiful. But you need to consider what will cost you a roof of 30-40% of the total value of your home. 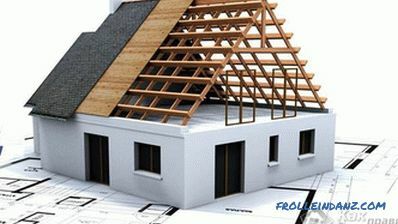 Therefore, it is important to immediately determine how much it costs to build a roof so that you have an idea about future expenses and can plan your budget. 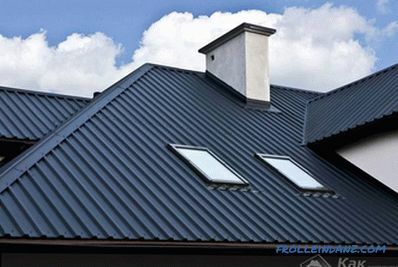 In this article you will learn the approximate cost of the roof. The price of the roofing material. Price of work performed (if specialists will make the roof). Shipping and other unforeseen circumstances. But since not all resort to the help of specialists who can make an exact calculation, all these costs must be considered independently. The price of the future roof depends on the size of the building and its purpose. The larger the house, the more material and, accordingly, money will be required. Most of your funds will go exactly to roof material. The first thing you need to decide what to buy. 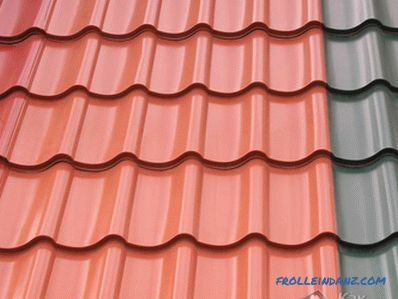 Often modern roofs are made of metal tiles. service life more than 20 years. 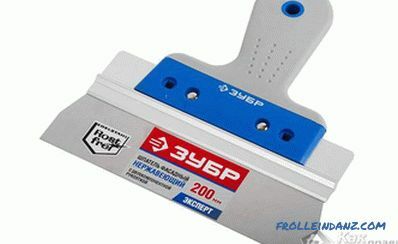 Average prices for metal tile vary from 300 to 600 rubles per m 2 depending on quality and manufacturer. 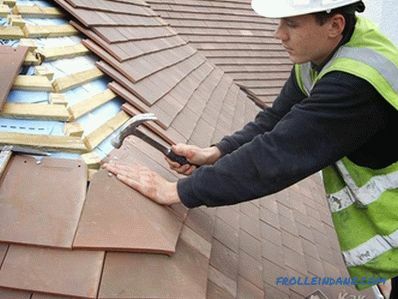 Now you need to calculate the square of your roof to determine how much material you need to complete the job. The easiest way to use special calculators that can easily help you cope with the task. 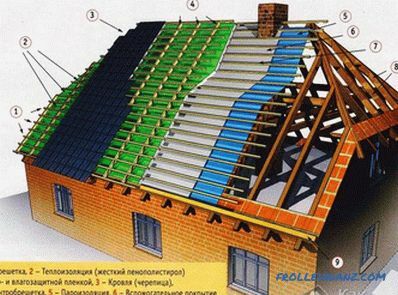 You only need to enter data, and the system will calculate the area of ​​the roof. 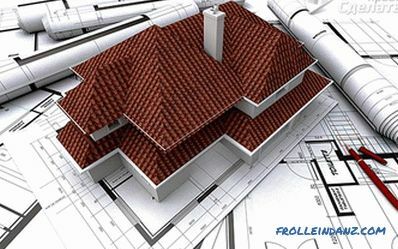 The roof area can be measured based on the area of ​​the upper floor and the design features of the building. You should also consider the type of roof: single, gable or mansard. 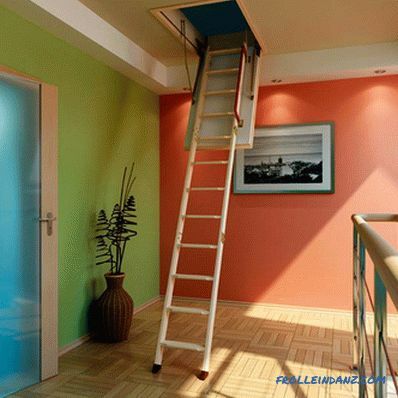 for a large house, the roof area of ​​which is approximately 300 m 2 - on average from 90 thousand to 180 thousand rubles. In exactly the same way, you can calculate costs when using any other material: soft tile, composite metal tile, bitumen sheets, ceramoplast. Often, to save money, the roof is made of decking. 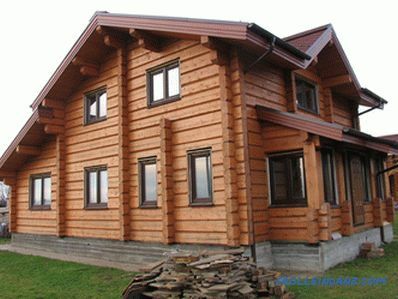 Its cost per 1 m 2 can be from 150 to 500 rubles. This roof will cost you almost 2 times cheaper, depending on your chosen price. Metal or wooden products, from which the truss system and the batten will need to be constructed. If you want to make a country house, whose roof is flat, calculate how much cement, sand and other materials you need to build such a roof. If the truss system will be made of wooden bars, you need to buy screws, nails, knitting wire, metal brackets, plates and corners. When there is an attic in the project, you will have to buy insulation, waterproofing, heat-insulating and vapor-insulating materials. Moreover, penthouses are often equipped with windows. All this should be taken into account and, having calculated, add to the cost of roofing material.But besides this, you will need to take care of the safety of the roof, as from time to time it will be necessary to periodically inspect or repair it. And in winter, the roof will have to be cleaned of rain. As a result, you will need to buy a ladder, snow guards and transition bridges. Some elements can be neglected, but modern requirements are as follows. Another important point to consider when calculating the cost of hiring professionals. 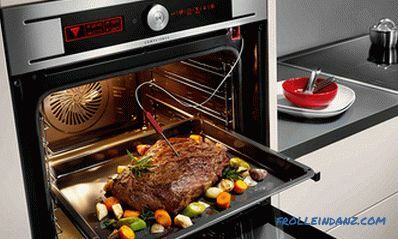 At this stage you need to decide who will do the installation. There are several options. You can hire a specialized company that will provide you with a staff of qualified employees who will make your roof quickly and efficiently. But, accordingly, the price of such a service will be rather big. Nevertheless, such companies have the necessary mechanisms, transport, which can deliver the necessary materials. As another advantage, the company can offer to buy material from its own warehouse. You can save on this, as the price of such material is very close to the price set by the manufacturer. Another option is to attract workers who are not dependent on companies and work for themselves. They are often called "wild brigades". It is clear that the cost of their work will be much lower, but no guarantees from such brigades should be expected. It happens that among such workers there are many good specialists who can do all the work qualitatively. You can use the so-called word of mouth and ask around your friends or acquaintances if they know a good brigade. Find them will not be so hard. The third option, the cheapest, is to do everything yourself. It is clear that without basic knowledge and experience it will be difficult for you to do this kind of work, but you can ask for help and advice. For example, many articles, instructions, you can find on our website. Examining all the information, you can build a roof yourself. It is clear that without the help of friends or relatives there is not enough, but still it will be much cheaper than hiring specialists. 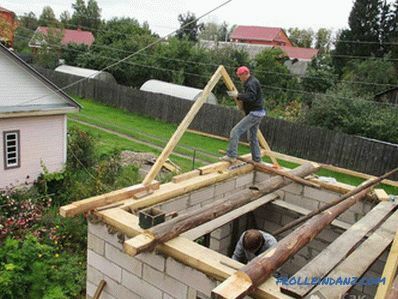 You should understand in advance that you will not be able to quickly make the roof yourself. If you have the time, and the timing is not tight, this option will be acceptable to you. If you return to the prices, hiring specialists or ordinary workers will cost you 50-100% of the amount of roofing material. If you do everything yourself, you can save money by 2 times. To see the full picture of all costs, we bring to your attention a special table, thanks to which you can approximately see how much money you will need to build the roof of a house. We hope that this article has helped you decide on the cost of your roof. If you have any questions, you can write them in the comments. Our experts will be happy to help you.